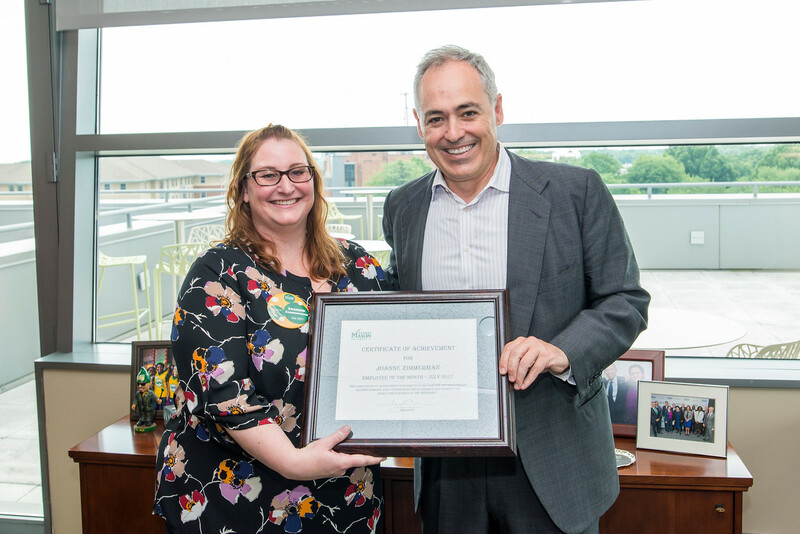 Each Month the University honors a Mason employee with the Employee of the Month Award. The candidates are nominated by a supervisor or co-worker and the winners are selected by a committee. The award program is coordinated through Human Resources and Payroll’s Reward and Recognition Department, however, a Staff Senator sits of the selection committee and the Senate honors each winner with a gift. Do you have an employee in your department who deserves to be nominated for Employee of the Month? Do you know how to submit a nomination? Details can be found on the HR webpage.